Look up RAM , Ram , or ram in Wiktionary, the free dictionary. Domestic sheep are quadrupedal, ruminant mammals typically kept as livestock. Like most ruminants, sheep are members of the order Artiodactyla, the even-toed ungulates. Although the name sheep applies to many species in the genus Ovis, in everyday usage it almost always refers to Ovis aries. 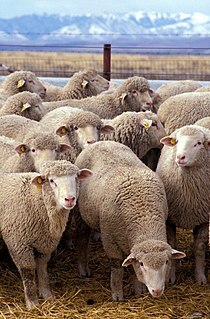 Numbering a little over one billion, domestic sheep are also the most numerous species of sheep. An adult female sheep is referred to as a ewe, an intact male as a ram or occasionally a tup, a castrated male as a wether, and a younger sheep as a lamb. The ram cichlid, Mikrogeophagus ramirezi, is a species of freshwater fish endemic to the Orinoco River basin, in the savannahs of Venezuela and Colombia in South America. The species has been examined in studies on fish behaviour and is a popular aquarium fish, traded under a variety of common names, including ram, blue ram, German blue ram, Asian ram, butterfly cichlid, Ramirez's dwarf cichlid, dwarf butterfly cichlid and Ramirezi. The species is a member of the family Cichlidae and subfamily Geophaginae. Ram is an Indian film director, who works in Tamil cinema. After assisting Hindi directors Rajkumar Santoshi and working under Balu Mahendra, he made his directorial debut with Kattradhu Thamizh (2007), which fetched him strong critical acclaim. His second film Thanga Meengal (2013) also won critical praise and three National Film Awards. He released his next film Taramani in August 2017 which was critically acclaimed and a box-office hit. His fourth film Peranbu starring Mammootty was premiered at International Film Festival Rotterdam in January 2018. Ram is a settlement in the municipality of Veliko Gradište, in the Braničevo District of Serbia. The town developed around the fortification of the same name. Aries is one of the constellations of the zodiac. It is located in the northern celestial hemisphere between Pisces to the west and Taurus to the east. The name Aries is Latin for ram, and its symbol is , representing a ram's horns. It is one of the 48 constellations described by the 2nd century astronomer Ptolemy, and remains one of the 88 modern constellations. It is a mid-sized constellation, ranking 39th overall size, with an area of 441 square degrees. Lake Ram is a crater lake (maar) in the northeastern Golan Heights, near Mount Hermon. The lake has also been known by the epithet "Lake of Phiala." The sources of the lake are rain water and an underground spring. The lake has no outlet. It is known in Hebrew as "Brekhat Ram", meaning high pool. It is also called Birket Ram, using the Arabic word for pond. The area is associated with the Druze community. Ram is a studio album by Paul McCartney and Linda McCartney, released in May 1971 on Apple Records. Ram was recorded amid McCartney's legal action in the United Kingdom's High Court to dissolve the Beatles' partnership, following the band's break-up the year before. It was recorded in New York with guitarists David Spinozza and Hugh McCracken, and future Wings drummer Denny Seiwell. Its release coincided with a period of bitter acrimony between McCartney and his former bandmate John Lennon, who perceived verbal slights in the lyrics to songs such as "Too Many People". RAM is a mizik rasin band based in the city of Port-au-Prince, Haiti. The band derives its name from the initials of its founder, songwriter, and lead male vocalist, Richard A. Morse. The band's music has been described by Morse as "Vodou rock 'n' roots", and has been one of the prominent bands in the mizik rasin musical movement in Haiti. RAM began performing together in 1990, and recorded their first album in 1996. The band's music incorporates traditional Vodou lyrics and instruments, such as rara horns and petro drums, into modern rock and roll. The band's songs include lyrics in Haitian Creole, French, and English. Ram is a Japanese visual novel studio under VisualArt's that specializes in the production of adult visual novels. To date, the company has released three games, two in two versions each. They released a new game called 5 on July 25, 2008. The Rockbund Art Museum is a contemporary art museum in central Shanghai. The museum is on Huqiu Road, in the former Royal Asiatic Society building completed in 1933 near The Bund waterfront. The museum is dedicated to being an influential, innovative, sustainable organization devoted to the promotion of projects within the field of international contemporary art. There are no permanent collections. Featured Chinese artists have included Cai Guo-Qiang and Zeng Fanzhi. The Royal Alberta Museum (RAM) is a museum of human and natural history in Edmonton, Alberta, Canada. The current museum is located in downtown Edmonton, north of City Hall and east of CN Tower. Construction of the new building was completed on August 16, 2016, and the opening date of October 3, 2018, was announced on September 12th 2018. The Reform the Armed Forces Movement, also referred to by the acronym RAM, is a cabal of officers of the Armed Forces of the Philippines (AFP) that attempted to seize power in the Philippines during the 1980s and 1990s. These officers were instrumental in the destabilization of the Ferdinand Marcos and Cory Aquino presidencies. Remote Area Medical Volunteer Corps (RAM) is a non-profit provider of mobile medical clinics delivering free dental, vision, and medical care to under-served and uninsured individuals. The Residents Action Movement was a political party in New Zealand. RAM described itself as "a mass membership, broad left, grassroots movement of social change". Its national chair was Grant Morgan and its co-leaders were Oliver Woods and Grant Brookes. This disambiguation page lists articles associated with the title Ram. An anti-aircraft vehicle, also known as a self-propelled anti-aircraft gun (SPAAG) or self-propelled air defense system (SPAD), is a mobile vehicle with a dedicated anti-aircraft capability. The Russian equivalent of SPAAG is ZSU, for zenitnaya samokhodnaya ustanovka,. The zodiac is an area of the sky that extends approximately 8° north or south of the ecliptic, the apparent path of the Sun across the celestial sphere over the course of the year. The paths of the Moon and visible planets are also within the belt of the zodiac. A horoscope is an astrological chart or diagram representing the positions of the Sun, Moon, planets, astrological aspects and sensitive angles at the time of an event, such as the moment of a person's birth. The word horoscope is derived from Greek words hõra and scopos meaning "time" and "observer". Other commonly used names for the horoscope in English include natal chart, astrological chart, astro-chart, celestial map, sky-map, star-chart, cosmogram, vitasphere, radical chart, radix, chart wheel or simply chart. It is used as a method of divination regarding events relating to the point in time it represents, and it forms the basis of the horoscopic traditions of astrology. The Phalanx CIWS is a close-in weapon system for defense against anti-ship missiles, helicopters, etc. It was designed and manufactured by the General Dynamics Corporation, Pomona Division. Consisting of a radar-guided 20 mm Vulcan cannon mounted on a swiveling base, the Phalanx has been used by multiple navies around the world, notably the U.S. Navy on every class of surface combat ship with the exception of the San Antonio-class LPD, by the Canadian Royal Canadian Navy, the British Royal Navy, and by the U.S. Coast Guard aboard its Hamilton and Legend-class cutters. The Phalanx is used by 15 other allied nations. A hybrid vehicle uses two or more distinct types of power, such as internal combustion engine to drive an electric generator that powers an electric motor, e.g. in diesel-electric trains using diesel engines to drive an electric generator that powers an electric motor, and submarines that use diesels when surfaced and batteries when submerged. Other means to store energy include pressurized fluid in hydraulic hybrids. The tiger(Panthera tigris) is the largest cat species. A legend is a historical narrative, a symbolic representation of folk belief. The Air Defense Anti-Tank System (ADATS) is a dual-purpose short range surface-to-air and anti-tank missile system based on the M113A2 vehicle. It was developed as a private venture by the Swiss company Oerlikon-Contraves, a member of the Rheinmetall Defence Group of Germany and the American Martin Marietta Corporation (missile). The ADATS missile is a laser-guided supersonic missile with a range of 10 kilometres, with an electro-optical sensor with TV and Forward Looking Infrared (FLIR). The carrying vehicle also has a search radar with an effective range of over 25 kilometres. An astrological age is a time period in astrologic theology which astrologers claim parallels major changes in the development of Earth's inhabitants, particularly relating to culture, society, and politics. 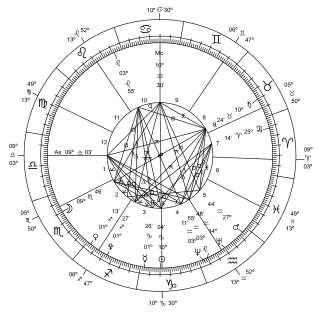 There are twelve astrological ages corresponding to the twelve zodiacal signs in western astrology. Advocates believe that when one cycle of the twelve astrological ages is completed, another cycle of twelve ages begins. The length of one cycle of twelve ages is 25,860 years. Semiconductor memory is a digital electronic data storage device, often used as computer memory, implemented with semiconductor electronic devices on an integrated circuit (IC). There are many different types of implementations using various technologies. The RZ.2 was a British design for a liquid oxygen (LOX) / kerosene-fuelled rocket engine to power the Blue Streak (missile). 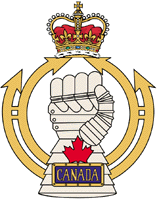 The Royal Canadian Armoured Corps is the armoured corps within the Canadian Army, including regular and reserve force regiments. The Tank, Cruiser, Ram was a cruiser tank designed and built by Canada in the Second World War, based on the U.S. M3 Medium tank chassis. Due to standardization on the American Sherman tank for frontline units, it was used exclusively for training purposes and was never used in combat as a gun tank. The chassis was used for several other combat roles however, such as a flamethrower tank, observation post, and armoured personnel carrier. Pisces (♓️) is the twelfth astrological sign in the Zodiac. It spans 330° to 360° of celestial longitude. 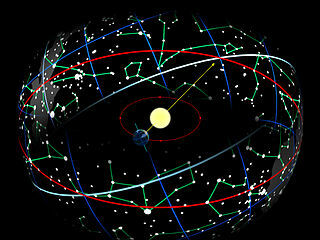 Under the tropical zodiac, the sun transits this area between February 19 and March 20. In Sidereal astrology, the Sun currently transits the constellation of Pisces from approximately March 12 to April 18. In classical interpretations, the symbol of the fish is derived from the ichthyocentaurs, who aided Aphrodite when she was born from the sea. A rat is a rodent of the genus Rattus. Rat may also mean similar species of rodent, especially those of the family Muridae. List of abbreviations, acronyms and initials related to military subjects such as modern armour, artillery, infantry, and weapons, along with their definitions. Random-access memory is a form of computer data storage that stores data and machine code currently being used. A random-access memory device allows data items to be read or written in almost the same amount of time irrespective of the physical location of data inside the memory. In contrast, with other direct-access data storage media such as hard disks, CD-RWs, DVD-RWs and the older magnetic tapes and drum memory, the time required to read and write data items varies significantly depending on their physical locations on the recording medium, due to mechanical limitations such as media rotation speeds and arm movement. In computer science, shared memory is memory that may be simultaneously accessed by multiple programs with an intent to provide communication among them or avoid redundant copies. Shared memory is an efficient means of passing data between programs. Depending on context, programs may run on a single processor or on multiple separate processors.